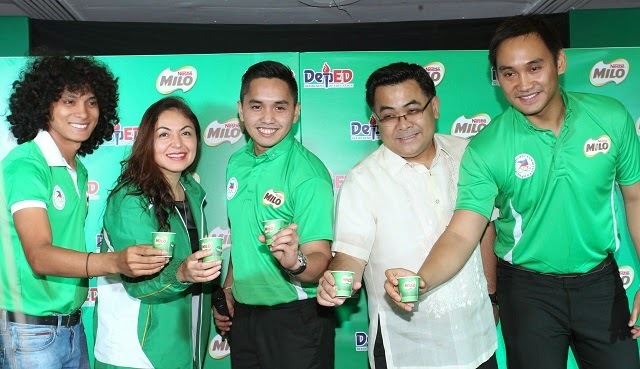 Leading beverage brand MILO today announced its partnership with the Department of Education (DepEd) for the One Child, One Sport campaign. One Child, One Sport will enable closer collaboration between MILO and DepEd as it consolidates their new and existing sports programs under one umbrella campaign. Anchored on the thrust to build a nation of champions, the program seeks to empower, mobilize, and inspire both the youth and their educators through sports and proper nutrition. According to the 2011 Updating of Nutritional Status of Filipino Children conducted by the Food and Nutrition Research Institute (FNRI), with the rise of interactive technology, children are becoming less engaged in physical activities that enable them to lead a well-rounded lifestyle. Concurrently, households have less time to prepare healthy meals that support overall wellness due to work and other factors.